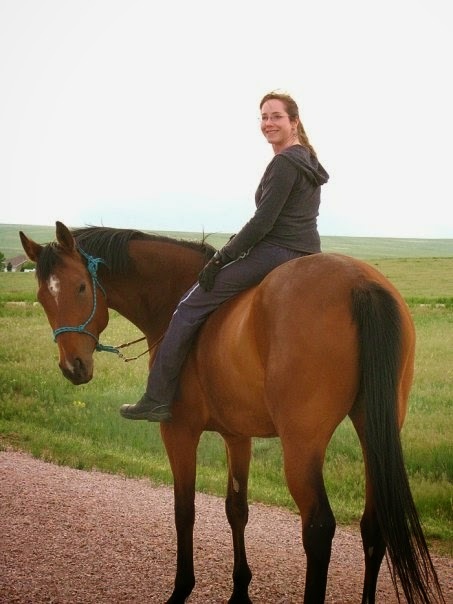 Equi-Heart Pledge: Surfing the Situation: How Horses Help us Learn to MELT into the MOMENT! Surfing the Situation: How Horses Help us Learn to MELT into the MOMENT! "I'M BACK!!!! !," I heard Charm, my Power Horse, screech in my head as she galloped loose across the front yard and hopped over a hay bale all by herself. This was excellent news because Charm has had the past 6 months off due to a series of injuries. This enthusiastic claim that she was ready for MORE of life came as such a GIFT. I'm just so darn grateful to sit atop her 16.2 hand back, because it feels like HOME up there! At the same moment, Gem, who had taken Charm's place as my main mount over the past few months, was suddenly NOT so sound, AGAIN. 4 weeks ago, we were eagerly enjoying our first dressage show together. 3 weeks ago, she tweaked herself. 2 weeks ago we were gayly galloping through her first water jump. 1 week ago, she whacked herself out even worse. Such is the story of my equine life (and that's just 2 of my 7 horse friends!). So, for the past year(s), I've found myself riding this emotional roller coaster, of UP UP UP then DOWN DOWN DOWN. Typically resisting WHAT IS and fighting the situation, wishing it were different. Then I realized the horses were offering me the PERFECT lesson of Appreciating the Present. Can you learn to SURF the SITUATION, and gracefully Follow the Flow, with whatever shows up??? Can you simply Embrace what IS and ALLOW ALLOW ALLOW? Can you Drop into the Present and find the Gratitude in your Heart for this Wondrous Journey, wherever it takes Us, without Judgement? A lot of times my answer was a resounding: NO! I don't want to! But recently, I've finally accepted that resistance is futile. The Journey is what it is. And besides, my horses journeys with physical health were just a mirror for my own roller coaster of physical & emotional aches and pains. So if I can't learn to BE with ME, in whatever form of pain I currently have, how can I support them with theirs! And so now, I thank my equine teachers for such profound lessons in opening my Heart to what IS, so we can BE there together. Now I can choose to Melt into the Moment, merging into the Connection with my Self, these Beautiful Beings in Horse bodies, and All That Is. Knowing that sooner or later, it will change, and shift, and transform from better to worse and back again (if I care to judge! ), but all the while I can discover the joy that comes from Surfing the Situation, and following it's Flow to Freedom. This same issue of Resisting What Is, is at the core of most of our and our clients troubles. How have the horses helped you and your clients to Allow, Appreciate, and Open into new possibilities, where the resistance used to be? I found it enjoyable Jennifer, to read that someone else was teaching go with the flow like this! :) It's the resistance itself that causes angst and upset, hey? 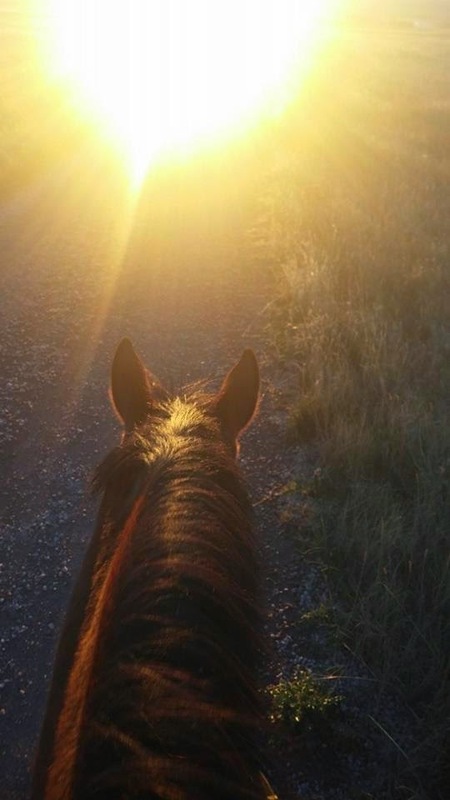 In my experience too, what we often think of as life's trials or things that go "wrong" with our horse, turn out to be opportunities for the very breakthrough or for the change that we have been needing in order for us to reach our dreams. In other words, we have our internal guidance system and things like this are part of our external guidance system - validating that old saying "everything happens for a reason". Opening up to this possibility a long time ago now and constant validation of the rightness of this way of looking at things, has brought me great peacefulness and joyfulness as I navigate life. Students too. Of course, you've really got to experience the validation for yourself before you can really know it all the way to your bones, hey? Thanks for sharing your insights Jenny! I agree that all things happen for a reason, and typically offer you just the "lesson" or "opportunity" which would most expand you, should you choose to allow it! It's the constant invitation to make that choice, over and over again, which can be a lifelong practice!!! Many blessings on your journey with the herd!